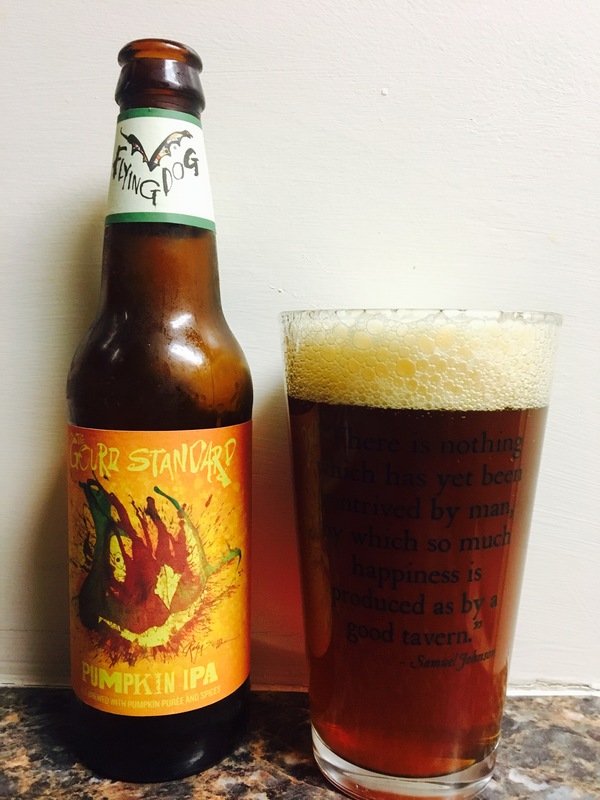 Flying Dog brewery has produced a second pumpkin beer this season, a pumpkin IPA. It has a dark orange color, a nice thick pumpkin scent and a full body pumpkin( not pumpkin spice) flavor. It boasts a 6.7% Alc content and for an IPA it is not “hoppy” at all. Definitely worth trying, a solid pumpkin beer. 3.5 stars.